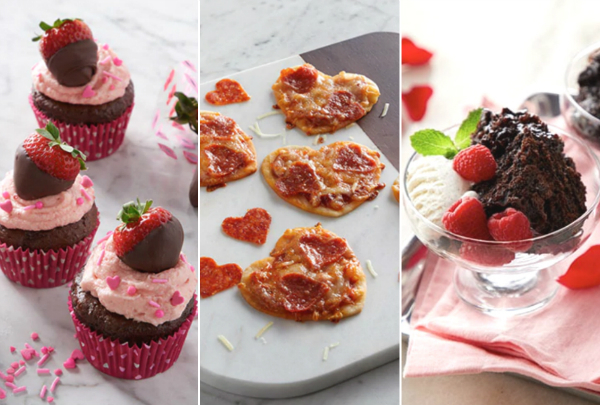 And how about a little pepperoni pizza, valentine style?! This recipe is perfect for the whole family. Prepare the chocolate cake mix according to package instructions. Pour batter into a paper-lined muffin tin. Bake according to package instructions. Set aside to cool. Meanwhile, melt the chocolate in a microwave safe bowl. Cook on half power for 60 seconds, then continue at half power at 30 second increments, until the chocolate is completely melted. Prepare a plate with wax paper. 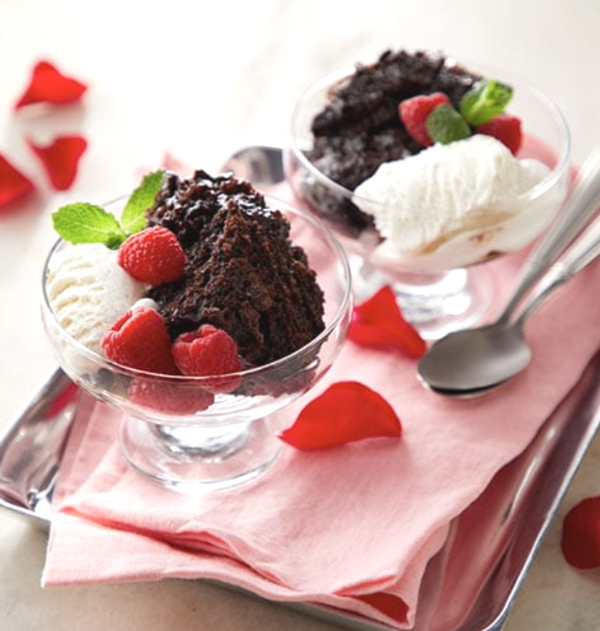 Dip the strawberries one at a time into the chocolate, then lay on the prepared plate. Set in the refrigerator to harden. In a blender, puree the thawed strawberries. Yields about ¼ cup of pureed strawberries. To prepare the frosting, mix together the butter and powdered sugar with an electric mixer in a large bowl. Beat in the pureed strawberries and mix until desired consistency. 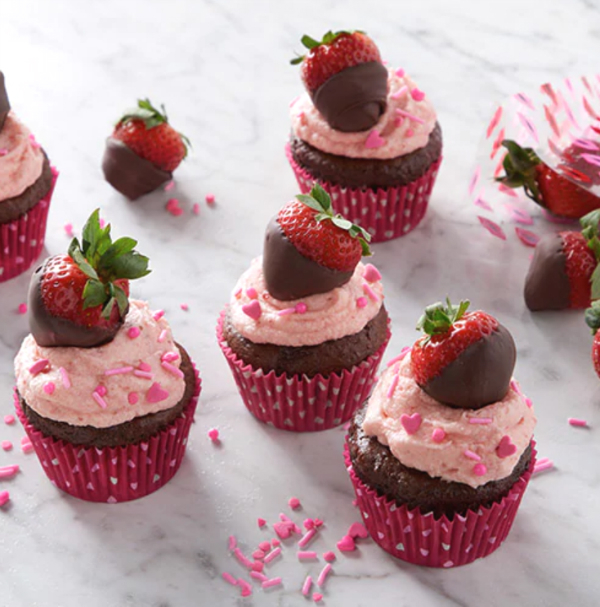 Spread frosting over the cooled cupcakes and top each cupcake with a chocolate covered strawberry. Preheat oven to 400°F. Prepare a baking sheet with a silicone baking mat or parchment paper. Roll the pizza crust out onto a lightly floured surface. Using a large heart-shaped cookie cutter, cut about 10 hearts out of pizza dough. Gently transfer the hearts onto the prepared baking sheet. Spread 1 tablespoon of sauce onto each heart, then top with 1 tablespoon of cheese. 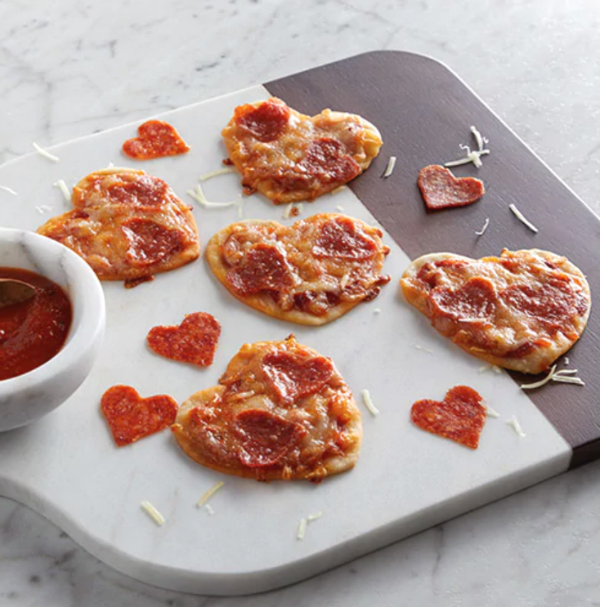 Use a small heart shaped cookie cutter to cut hearts into the pepperoni. Place the pepperoni hearts on the cheese. Bake for 10-15 minutes, until the edges start to brown.